The art of photography means to speak through a capturing an image which can speak for itself. An edgy depiction of life would be nothing without atmosphere. By adding a historic feel to a photograph can change the message from bland to elegant. 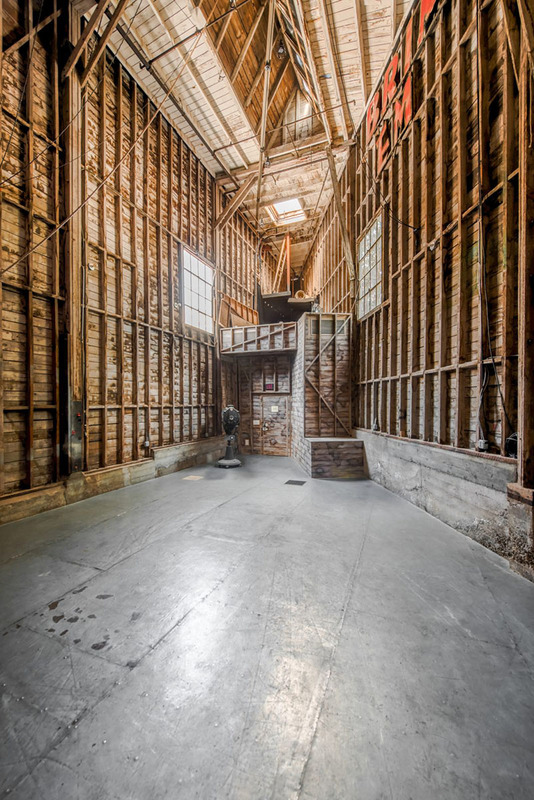 Mack Sennett Studios is a historic Los Angeles venue that adds extra charm to any production within its walls. The studio is accommodating to video production and sound recording as well as photography. The historic Los Angeles location is packed with character, and is a sought out space for photography and film. Contact our team today to learn how you can arrange a photo shoot or production with our studio. Our spaces were originally constructed in 1916 as silent movie studio set, and were devised by the producer Mack Sennett. The Studio has been the location for a variety of different television, film and music productions, as well as hosting award events and fashion and art shows. Whatever you want to do in the space, our team can help you to pick the perfect spot and design it to create a great event. Our 100-year-old spaces reminds visitors of the traditional Old Hollywood, as a historic Los Angeles venue full of glamour and passion. We reopened our soundstage in 2013 and operate as a multi-functional stage and event space, mostly offering invitation-only event areas for clients and their guests. We believe that the legacy of the old Studios is something that should be respected and enjoyed, and bring new life to these old rooms with new videos and film shoots. Whatever you want from our show, we can offer you high-quality service and professional event-hosting to a modern standard, while still reflecting our precious history. Talk to us today to get more information on our services. 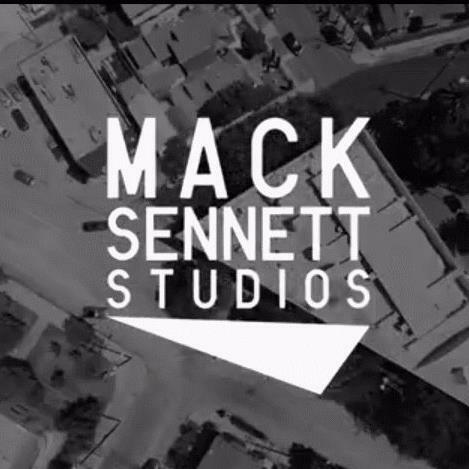 Photography and film production are major aspects of the entertainment industry, and Mack Sennett Studios makes for an amazing location for those involved. Whatever project you are working on, you will want to make it memorable. We can help you achieve a successful production by making the most out of our historic Los Angeles venue. Our studio’s team knows the demands of photographers and producers. No matter the medium, we can turn our studio into the perfect place for your performance. To find more information about our studio spaces, you can send us a message using our contact form, or call us on (323) 600-8466. Contact us now to make use of our glamorous studio spaces and professional service. Hosting a large event or concert requires enough space for the festivities in their entirety. This also goes for producing and filming music videos or movies. Mack Sennett Studios provides top-of-the-line sound stages built specifically for professionals and creators alike. As the entertainment industry continues to grow, there is a higher demand for upscale soundstages meant for quality production. If you want to interact with a professional staff, have a clean space to work, host an event or film, contact Mack Sennett Studios. We have a track record for meeting requirements and providing soundstage rentals spaces that meet your creative needs. Our first stage spans 5,000 square feet, with a large door and ramp; perfect for loading large objects such as cars or musical instruments. We have a power distribution box spread across the three legs of the studio, plus adjustable light and speed rails available for use. Our full catwalk is often utilized for fashion shows. The shooting depth is 95’ for film and photography as well. The studio is fully soundproofed, and you may also make use of our three greenrooms connected to the stage. Our secondary stage is 2,000 square feet, featuring exposed brick walls with a wooden backdrop, and a 28 by 50′ paint frame. There is an excellent range of natural light. Alongside this studio, we can also open up our woodshop, which can be used in combination with stage 1, and has vintage walls that are perfect for art shows or photo shoots. This can be a feature of your displays, or you may choose to host the entire event in this space with 30 foot high ceilings and a dramatic, historic look. We ensure our soundstage rentals are convenient and straightforward, but also unique to our location. 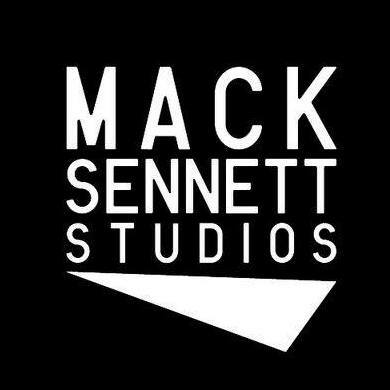 If you are interested in recording, filming, or hosting and event, contact our team at Mack Sennett Studios. Our space has been used by a number of nominated and award-winning entertainers. From hosting fashion events to recording a top album, Mack Sennett is the location to lock. To find out how we can help you with soundstage rentals spaces you can reach out to us by calling (323) 660-8466, or send us a message online using this form. We will be happy to talk to you about our services, and our professional staff. Contact us today to start arranging a high-quality event or recording session at our Hollywood Studio. You finally have the financial backing you need so you can begin your photo shoot, movie production, music video or stage event. Now that you have some money behind you and you have begun to put all the players you need together to make the event happen, you want to make sure you have an appropriate space to do everything you need. Whether you need a location to make your production, rehearse, film, or put on your event, you are going to want to spend some time looking at available studios to work in. There are some aspects to look for in quality studio space rentals, so you are sure to get the site that fits your needs best. Naturally, you are going to want a studio space that can accommodate you comfortably and properly. The last thing you want is to arrange for space only to find it is much smaller than what you need or does not have the facilities you require to produce your event properly. Look at the options available to you and make sure to take the time to examine the spaces in person before you come to a final decision. The quality studio space rentals that you look at the need to be easily accessible to you so that you can get everything you need to and from and in and out of the facility. Look for spaces that are nearby to you so that you can accomplish your tasks easily. Cost is always a factor for you as well and considers the costs for rental and any extras you may require at the location so you can be sure everything fits into the budget you have for your location. 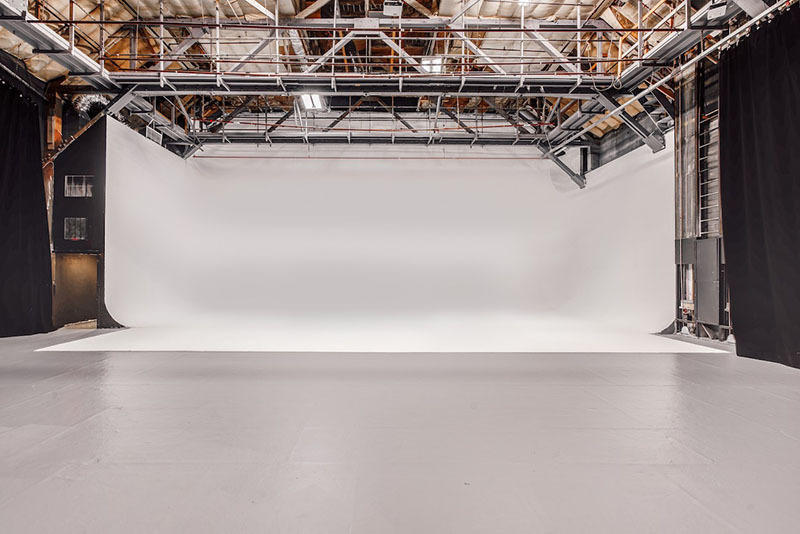 When you look for quality studio space rentals in the Los Angeles area, make sure to consider using us at Mack Sennett Studios. We are a famous production studio with a rich history, great facilities, and perfect location in the Silver Lake area for you. Make an appointment to come by and see our studio spaces by calling (323) 660-8466 so you can schedule use of the space you need to make sure your production is the best it can be. 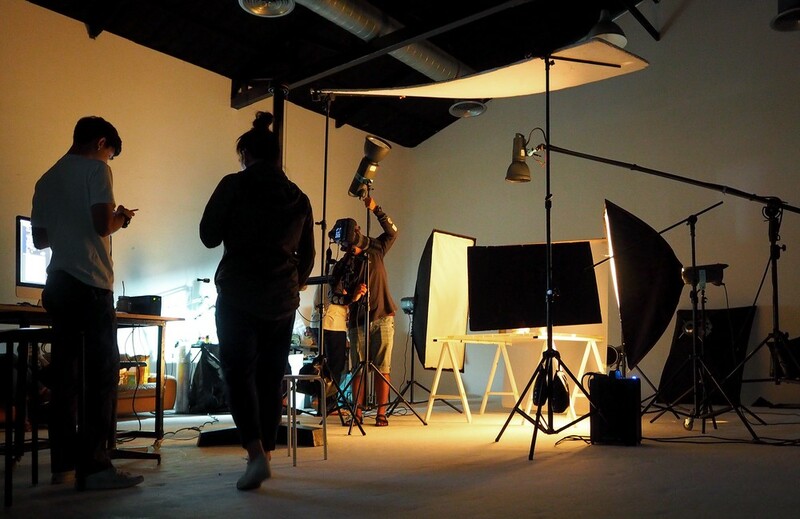 We are sure we can offer a studio space according to your needs and requirements. 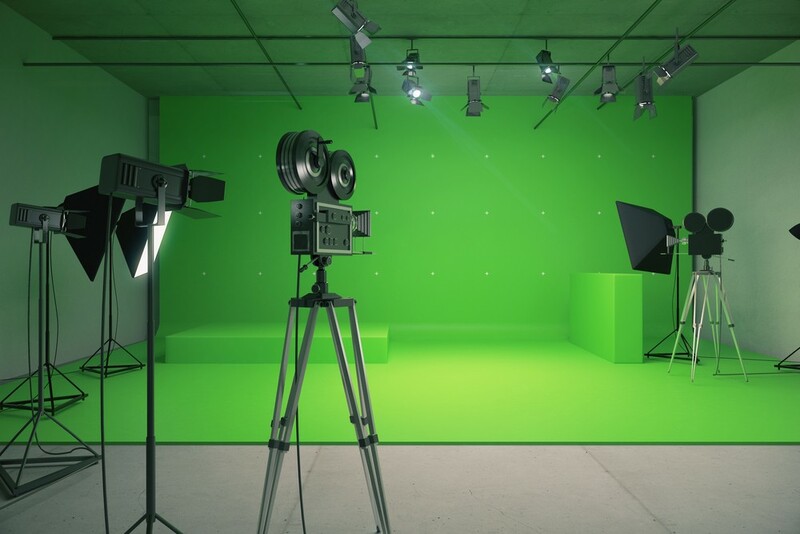 Whether you are involved in the creation of a music video, a movie, TV commercial or theatrical production, you need to have the right space to work in for your project. Trying to work in a space that limits or hinders your capabilities will not serve your production well and can hamper your efforts significantly. Finding the ideal location to rehearse, practice and produce your event is important, and you want to make sure you take the time to find the right production studio space to work in so you can get the best results. The space you choose should be a location that you know is going to help foster the creativity needed for your project. You want to look at spaces available to you in the area so you can see how the locations are arranged, what technology and gear may be available to you on-site, and what staff is there to assist you with your project. A space that has everything in one location will give you the opportunity to make the most of your event or project so that your vision can come to life with ease. It only makes sense that you would want to use the right production studio space that is nearby to you and in your community. You don’t want to spend hours on the road just to get to the studio, only to finish exhausted before your journey back home. Working in your local community shows that you support the area and know that you have just what you need in your area to help your production be its best. Look at the locations close by to you and see what is available that suits your needs the best. 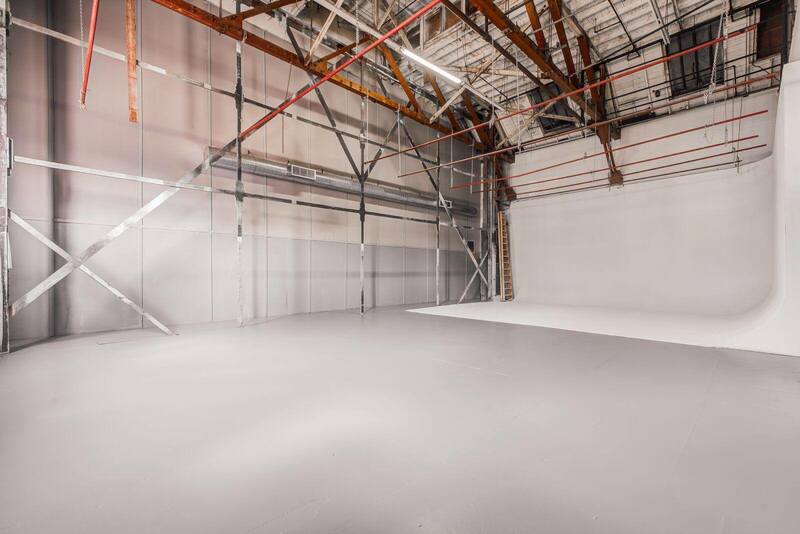 If you are in the Los Angeles area and looking for the right production studio space for your event or production, make sure to come to us at Mack Sennett Studios. We have a deep history in the area and in the entertainment and arts industries, and we can supply you with just the space you need to make the most of your production. You can find out more about us by reading the pages here on our site, or by giving us a call at (323) 660-8466 to ask questions or schedule a time to visit our studios. Mack Sennett Studios hosted second-annual of the Los Angeles Beer and Food Festival on the last Saturday of January. It was a warm day and cool temperate evening at the Los Angeles Venue — an ideal setting for L.A.’s best up-and-coming brewers and unique food establishments to show what they’ve got. In just one year the turnout of brew and foodies and brewers alike grew immensely and made for a lively atmosphere among the patrons. The festival’s success was a testament to Mack Sennett Studios’ viability as both a soundstage and Los Angeles event venue that can bring local luminaries together in a fun and festive way. A live DJ spinning all-vinyl, an intimate indoor lighting and seating arrangement, and a row of tents with a farmers market feel made it a welcoming showcase for the L.A. region’s small businesses to put their best foot forward. The host organization was the Los Angeles County Brewers’ Guild. The layout of the event was intricate but walkable. A mix of brew and food sampling tables lined the interior walls of the Mack Sennett’s historic soundstage and production studio areas. Along the hallway walls, patrons would often stop to appreciate some of the iconic names of film, TV, and music that have graced the studio space. Santa Monica Brew Works was a standout in the main soundstage. My colleague and I tried both the IPA selection and the PCH— which is a play on words with the iconic highway that runs long their brewery and “Pale Chocolate Heaven”, which describes the defining caramel and chocolate flavor of the porter beer. The Frogtown brewery right across the reservoir in Silver Lake was one of the hyper-local and more delicious brew samples at the event. Both of their selections, ‘War on Sobriety’ and ‘Third Base Belgian (double IPA and Belgian varieties, respectively) had alcohol percentages of 10%, but were very sippable and finished with flavor. Their head brewer located right along the L.A. river on the 5 freeway and offers tastings. Some of the more-notable breweries on hand were Angel City Brewery and Arts District Brewing, which showed off some of their new offerings. A local favorite, Silver Lake’s own Fat Dragon, showed off a tasty variation of their dragon noodles in a sweet and spicy red sauce. My colleague came up with the clever idea of mixing the noodles in the oyster pail it was served in with the pork belly bites that were served up by the Twisted Oak Tavern. Another big hit for the foodies was the Wolf Creek Brewery in Santa Clarita, who served up an array of food samples to compliment their craft beers, including Ale Mac and Cheese and a banana pudding that quickly ran out every time a new platter arrived. The 2018 Beer and Food Festival demonstrated all the guests the extent of which a soundstage and photo shoot area can be made into a great event venue for a party or conference. If you visit MackSennettStudios.net, you can see the world of creative arrangements that can be made of a little square block space in Silver Lake. Everything from album launch parties, Netflix Premiers, conferences, and concerts can be made out of the space. The name “Mack Sennett” is synonymous with classic Hollywood. Even those who may not recognize the name have seen his comedies or comedies that were inspired by them. His legacy is so much more than just the films he made. In 1916, he and Mabel Normand founded a studio. At the time, it was one of the most advanced studio facilities and it still is today. Mack Sennett Studios has more to offer than just a legendary name. This Los Angeles soundstage contains state of the art facilities that modern productions require. In its early days, Mack Sennett Studios had the kind of accouterments that very few studios could match. Wide open-air filming platforms that were topped by sturdy canvas tarps gave the studio the ability to appear on screen as practically anything. Many of the early famous comedy stars passed through the orbit of Mack Sennett: Harold Lloyd, W.C. Fields and of course, Charlie Chaplin. Once the reign of silent films gave way to “talkies,” the studio reinvented itself. The open-air areas were enclosed so that the films could have better sound and lighting. Hollywood and show business has changed. So did Mack Sennett Studios throughout the years. Today, there are multiple stages to choose from. Stage 1 has five thousand square feet of space and Stage 2 has two thousand square feet of space. They have enough room to perform any kind of shoot. Beyond that, each stage has their own facilities, too: full kitchens, green rooms and white cycs. Each can be used for far more than just filming a movie or television show. In addition, the facilities can be transformed to be the perfect venue for live events, concerts, exhibitions, gatherings and more – these stages combine the best of modern technology with the prestige of Old Hollywood. Our facility is primarily known for our namesake as well as Mabel Normand. However, many figures of Hollywood and show business royalty have used our facilities for their shoots and events. Celebrities like Donna Summer, Martin Scorsese, Jay-Z and David Lynch as well as major brands like Hollywood Reporter to Netflix, Lexus have visited Mack Sennet studios in the past. 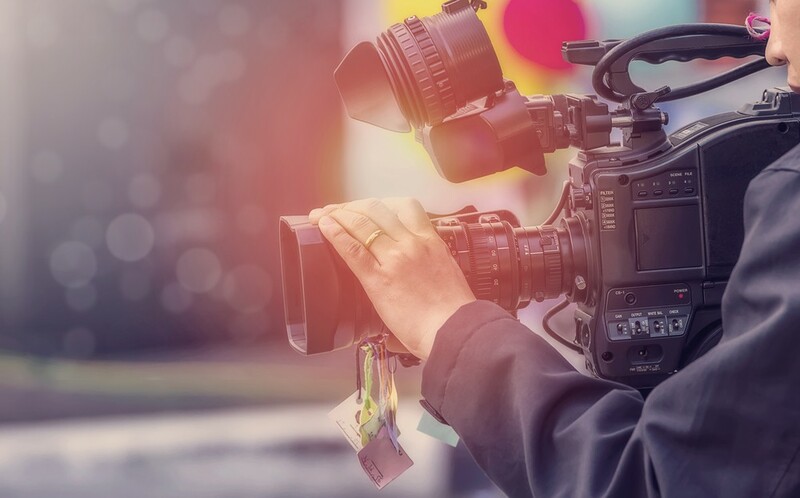 We’re proud of the sheer number of show business professionals who use our facilities, because it shows the lasting power of Mack Sennett Studios. Your film, television show or other event is too important to be left to amateurs and chance. We have everything you need to get the job done, including equipment rentals, catering, light rails that can be adjusted, a floor-level loading door and more. Give us a call or head to our site to become a part of Hollywood history. Our Production Company 1215 Creative co-produced Ricky Martin’s most recent video, Mr. Put it Down, featuring Pitbull. Wiz Khalifa‬ on the cover of LADYGUNN Magazine Issue 11 shot by John Michael Fulton at ‪Mack Sennett Studios‬ is out now! Styling by Ian Connor, Grooming by Marissa Machado, Story by Tiffany Tso and Neon and Noise. Read a digital issue here. On Thursday April 2nd we welcomed B.J. The Chicago Kid, Raphael Saadiq and Lee Fields into our studio for the Generations of Soul event, celebrating E&J Brandy’s 40th anniversary. Click here for more photos.